If you have recently adopted your first cat, it is important that you know how to care for him. You know that he needs food and a bed; however, there are other things that you need to know so that your cat will be happy and healthy. 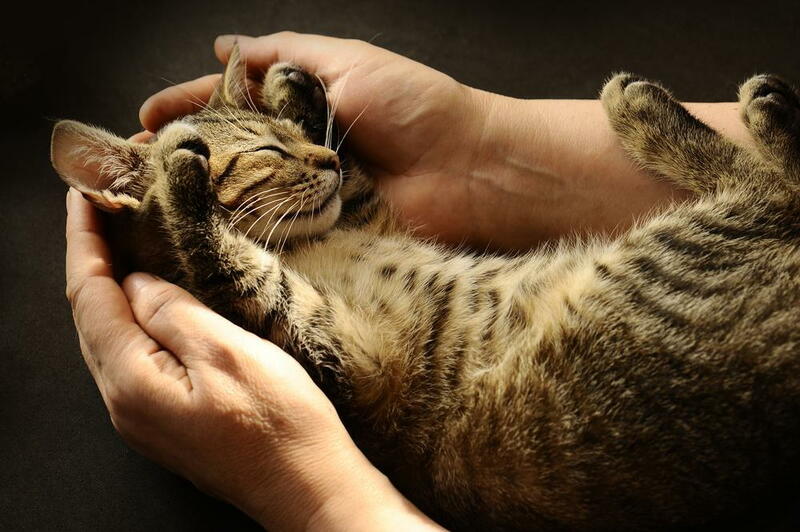 Cats have an instinctive need to scratch. To satisfy his need, your cat will scratch your furniture, your door frames, and other objects and areas in your home. To protect your home and your belongings, you should give him a scratching post. If you catch your cat scratching other objects, you should take him to the scratching post so he can learn that it is the only acceptable scratching area. In time, he will modify his behavior. Cats need time to play. If your cat doesn't have toys, he can get bored and even destructive. When choosing toys for your cat, you should only buy toys that are designed for cats. Also, you should check his toys often to make sure that there are no loose pieces that he can choke on. To keep him from being overwhelmed, you should give your new pet just a few toys to play with. Many people believe that if their cat is going to be an indoor cat that he won't need to be vaccinated. This is not true. Regular vaccinations will keep your cat healthy, and they will allow him to live a longer life. All cats should be spayed or neutered. If you have your female cat spayed, you can eliminate the risk of breast cancer and uterine cancer. You will also be reducing her risk of developing a urinary infection. If you have your male cat neutered, it will eliminate his risk of developing testicular cancer. Neutering will also keep him from trying to escape from the house to find a mate. Finally, he won't spray once he is neutered. Contact Our Millhopper Veterinary Medical Center in Gainesville, FL! When you bring your new cat home, you should make an appointment with Millhopper Veterinary Medical Center in Gainesville. The veterinarian at our animal hospital can give your cat a full exam and his first round of vaccinations. When you visit our veterinary clinic, we can answer any questions that you have about what your cat needs.